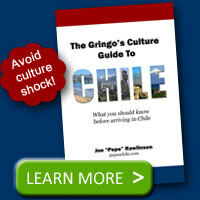 When planning your time in Chile, make sure you realize that Sunday is a special day and lots of places are closed. Every Sunday is an official holiday in Chile with the associated implications of any other national holiday like the fiestas patrias or Navy Day (May 21st). However, while Sunday is an official holiday, you’ll still find some basic services unlike intense holidays like Christmas or Independence Day. When you drive around town on Sunday, you’ll see lots of storefronts covered by giant metal doors or windows with the lights out and barred gates across the front. Parts of Santiago that are extremely busy any other time of the week turn into ghost towns on Sunday. Don’t count on going to banks, stores, restaurants, or more unless you double check they are open on Sunday. 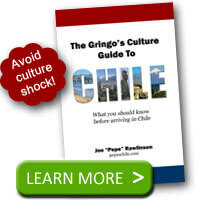 Chileans typically sleep in on Sundays unless they regularly attend church services. The major exception to not waking early on a Sunday is if some sort of sporting event is taking place. For example, if a Chilean tennis player is playing a match on the other side of the world, or the national soccer team is playing during the early morning hours, Chileans will religiously wake up to watch. What is Open on Sunday? While most businesses seem to shut down on Sunday, a growing number of big chain restaurants, malls, and large grocery stores are open. Expect to see large crowds at public parks, at the beach (during the summer), or other recreation areas. One bonus about being in Santiago on a Sunday is that several national museums have free admission. In Santiago, traffic on Sunday is extremely light and is probably your best day to drive around as a foreigner. Less traffic and fewer vehicles make Sunday a great day to find your way around the city. What’s unusual about things slowing down in Chile on Sundays. You can say pretty much the same thing about any western country. Banks closed on Sundays? what a radical concept. @Arthur – OK. Your bank comment is fair. However, with other shopping and retail in the western world, Sunday often looks just like Saturday with most things open for business. Sunday in Chile isn’t like Saturday. Lots of places are closed so set your expectations accordingly. Thanks, i will make sure i go explring the roads on a sunday.